This is a sponsored post written by me on behalf of Barefoot Refresh®. Content for 21+. The Barefoot Refresh® recipe and opinions are my own. I am trying not to dwell too much on the fact that the Summer of 2015 is almost in the books. Time really does fly when you are having fun. Summer never seems long enough but no matter what, it was a great one with lots of fun memories made. Even though the Summer of 2015 is almost over, there is still time for one more summer get-together with friends. Today, I am partnering with Barefoot Refresh Spritzers®. I’m toasting all the great summer memories with this refreshing Barefoot Refresh® Berry Spritzer Float. Barefoot Refresh® comes in five refreshing blends: Crisp Red Spritzer, Crisp White Spritzer, Sweet White Spritzer, Summer Red Spritzer and Perfectly Pink Spritzer. These vibrant spritzers retail for approximately $7 for a 750ml bottle. I received the Barefoot Refresh® Perfectly Pink Spritzer to try. This slightly sweet spritzer is light-bodied and very refreshing. The Perfectly Pink Spritzer is a lively blend of Grenache and Moscato (two of my favorites), along with subtle peach, mandarin orange, raspberry, and cherry flavors. I generally like a sweeter drink, so this spritzer is perfect for my taste! 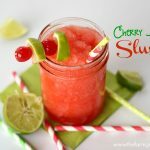 These vibrant spritzers are great over ice and perfect for casual summertime occasions such as cookouts , baseball games or laying by the pool. Let’s be honest, Barefoot Refresh Spritzers® can be enjoyed anytime of the year. With the many flavor blends available, there is something perfect for everyone’s taste. 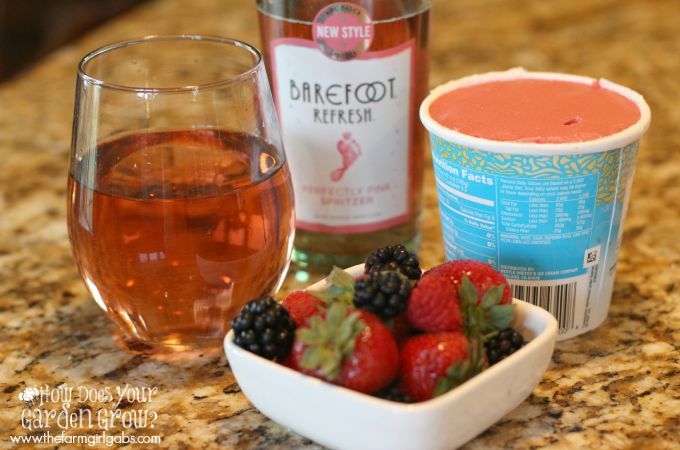 I shared this Barefoot Refresh® Berry Spritzer Float with my girlfriends and it was a big hit. It’s a perfect way to say goodbye to summer. For this drink, I paired the Barefoot Refresh® Perfectly Pink Spritzer with raspberry sorbet and fresh berries. It’s simple but so refreshing and delicious – especially on a hot summer’s day. 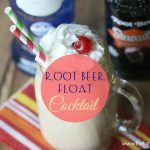 I love drinks that are fun, quick to prepare and will impress my guests. You can’t get much simpler than this Barefoot Refresh® Berry Spritzer Float. I just added some chilled Perfectly Pink Spritzer to a glass along with two scoops of raspberry sorbet and then some fresh raspberries, strawberries and blackberries. 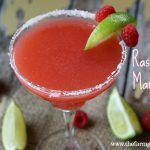 Add a variety of raspberries, strawberries and blackberries to the drink. What a marvelous treat idea Melissa! I could so imagine gabbing with friends on a hot summer afternoon while sipping on one of these. 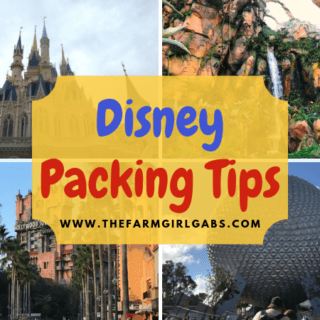 Not sure it will happen this year, but have pinned it as a reminder! Dear Melissa, I am suddenly very very thirsty!!!! Mmmmmm…. This looks so refreshing, it is still so hot here! Can’t wait to try it. I’ll take two right now please! This looks so refreshing and GORGEOUS! Yum, what a delightful combination, it sounds so delicious and refreshing!